From the 15th of June to the 3rd of July, every Friday (except the 24th of June) you can enjoy one of the most typical things of the Catalan Culture: Sardanes, with the people dancing to the rhythm of the ‘Les Cobles Rambles” and ‘Baix Llobregat’. As we always say, one of the best things for getting to know a country’s culture is introducing ourselves in its history, its traditions and its festivities, because we will be able to talk easily with its people and we will feel like a citizen more of this land. So, following this premise, you should not miss the opportunity of experiencing the Sardanes’ dance and music. This is a tradition with an unknown origin, danced and played around all Catalonia (it is its national dance) and, practically everyone who wants to dance it, can try it. Your age doesn’t matter, it is for elder and young people. 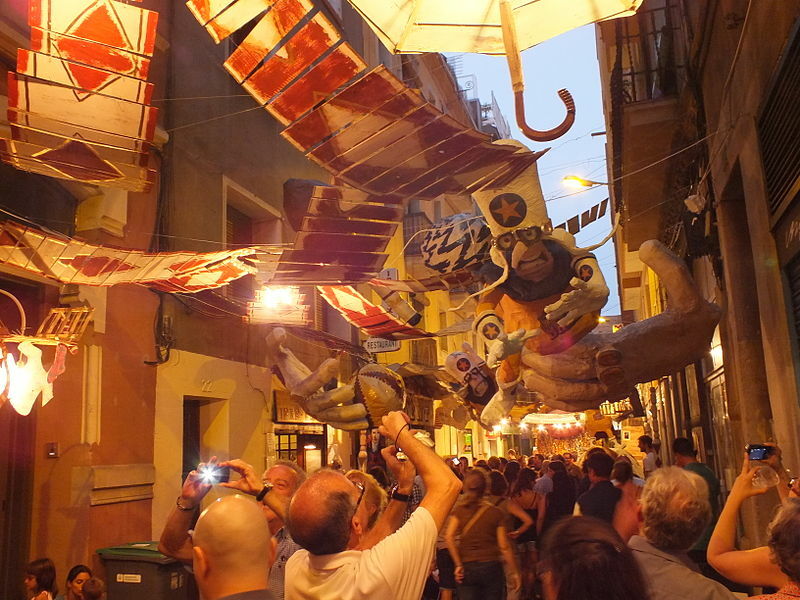 So if you would like to know more about it, you should take your bicycle and go to Vapor Vell Passage (number 2) in the district of Sants-Monjuïc any Friday (remember: there are no events on the 24th of June) from now to the 3rd of July at 7.30 p.m.